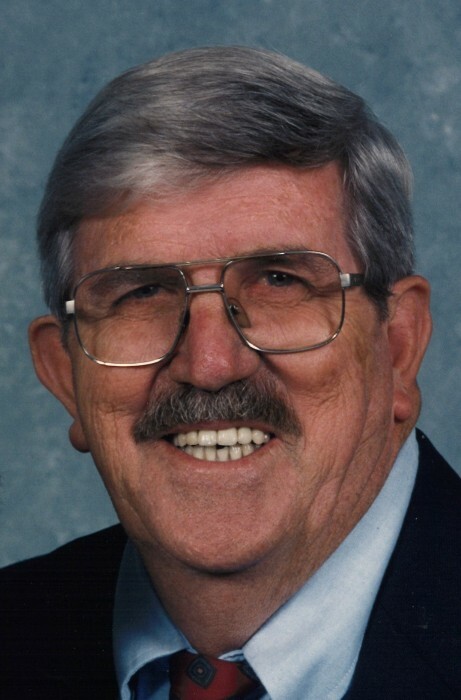 James (Jim) Alexander Osborne, age 85, of Buffalo Lakes Sanford, NC, passed away on Monday, November 26, 2018 at Cape Fear Valley Health in Fayetteville. He was the son of the late Benjamin Adam and Lee Measamer Osborne. He was preceded in death by his wife, Mae Howard Osborne for more than 50 years; brothers, A.J. Dixon, Robert Osborne and Harry Osborne; sisters. Frances Patterson, Nancy Jefferies, Mae Palmer and Alma Lilly. Mr. Osborne served in the Korean War as a member of the Ranger Air Borne Unit, a Life-time member of the American Legion and VFW; a 32nd degree Mason over 50 years; a member of the Scottish Rite, York Rite, Sudan Shrine and Jester. He served as a Director of Public Relations Sudan temple, Past President of Rocky Mount Shrine Club and Harnett County Shrine Club and member of Jonesboro Heights Chapter 310 Eastern Star. He worked as a Detective with the Harnett County Sheriff Department and retired in 1995. He was the owner of Osborne Detective Agency from 1995 to 2009 when he retired. He was awarded the Order of the Long Leaf Pine on August 27, 1983 by Governor Jim Hunt. He was a faithful member of Barbecue Presbyterian Church and was honored Elder Emeritus in 2010. The family will receive friends on Wednesday, November 28, 2018 from 6:00 PM to 8:00 PM at Bridges-Cameron Funeral Home. The funeral service will be on Thursday, November 29, 2018 at 3:00 PM at Barbecue Presbyterian Church with Rev. David Sherrod officiating. Burial will follow in the church cemetery. Survivors include two sons, Ron Osborne and wife, Janine of Burlington and Donny Osborne of Mamers and one daughter, Joy Osborne Lloyd and husband, Greg of Sanford; seven grandchildren and eleven great grandchildren. In lieu of flowers, please consider donations to Barbecue Presbyterian Church, 124 Barbecue Presbyterian Church Road, Sanford, NC 27332 and/or Shriners Hospitals for Children, Att: Office of Development, 2900 N. Rocky Point Drive, Tampa, Florida 33607.